Buzz has been building in various corners of the United States around the concept of “Ranked Choice Voting”. What is it? How does it work? And how is it different from the current system where you vote for your favorite candidate, hope they win, and prepare for your supposed “worst”? At Voatz, we’re fascinated by varying methods for voting and mostly, working to ensure that the systems used to implement them are user-friendly, accessible and accurate when it comes to tabulating the mathematical calculations. 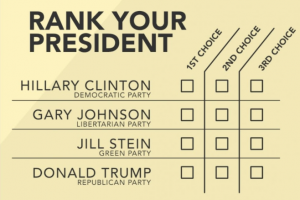 What is Ranked Choice Voting (RCV)? To you, the voter, Ranked Choice Voting (RCV) is a relatively simple change to the way you vote. In the current system, you pick one candidate. With RCV, you rank candidates in the order you prefer them (first choice, second choice, third choice, and so on). How does the math work? On Election Night, all ballots are counted only for the voters’ first choices. 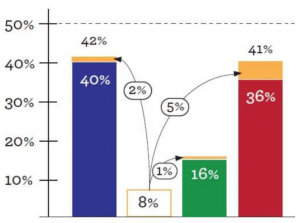 If a candidate receives an outright majority, they win, just like today. 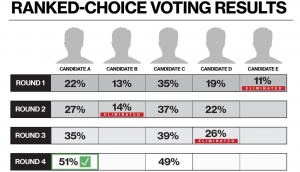 Unlike today, if no candidate receives a majority, the candidate with the fewest first choices is eliminated. If that was your first choice, your vote instantly counts for your next choice. This process repeats, with last-place candidates getting eliminated and voters who selected that candidate having their ballots counted for their second (or third, or fourth…) ranked choice, until one candidate reaches a majority and wins. In short, your vote counts for your second choice only if your first choice has been eliminated (i.e. this is a case of “instant runoff”). Ultimately, if your first choice doesn’t win, rather than not having a voice thereafter, your ballot still gets counted for your second, third or fourth choices, and so on. With multi-seat elections, ballots can grow lengthy, where you rank among many candidates for many seats (i.e. 10 open seats, 30 candidates). In the case of many candidates and many seats, you would rank among the many candidates for those many seats (i.e. pull your favorites from the 30 candidates and rank them among the 10 ranked seats). The challenges to RCV include the need, often, for particular machines that can administer the vote and tabulate results. Some machines support only up to three rankings, which might not be enough for a crowded election, and most machines require rankings downloaded onto a memory card and transmitted to a central counting location, where files from each precinct must be aggregated before counting. Lastly, for the voter, ballots can look like the one above, which can grow complex with more candidates and more open seats. How does it work with Voatz? Voatz has built-in capacity for RCV and instant tabulation, with emphasis on designing for maximized usability and seamless results. Once a voter is verified to vote in the election, they access the ballot, rank their choices, and cast their ballot either on their smartphone or the Voatz tablet application. 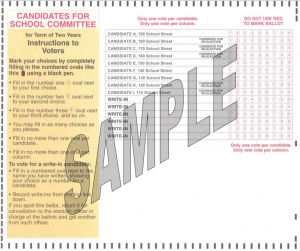 Interested in using Voatz for RCV in your upcoming election? We’d love to hear from you.